When you’re getting ready to start up your own website, there are certain elements that you must consider. One of the most important elements of any website is the domain name that your website has. There are numerous places online where you can purchase domains, and selecting a good domain name is the one most important first steps to creating a good website. A good domain name will reflect your website well and will be able to attract potential visitors to it. For instance, if your website is about fashion tips, then you want to have a something about fashion in your domain’s name to reflect that. Something else that you must consider when starting your website is that after selecting a domain name, you must have a web host to host your domain and your website. 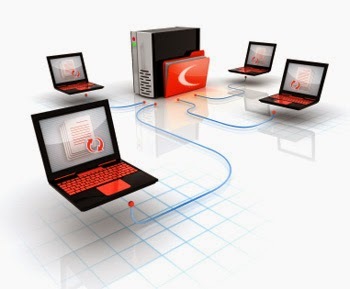 The web host is the one who provides you with your server and makes it so that your web pages are visible online. In some cases, it might be advantageous for you to purchase your web hosting service and your domain name from the same provider. Many web hosts offer you a discount if you choose to get your domain name and web hosting service both from them in one package deal. This makes it so that you don’t have to deal with porting your domain name to your web hosting service, which can result in less hassle for you. Once you’ve got your domain name and web host selected, then all there is left to do is to begin designing your website. If you’ve already designed your web pages, then all you have to do is upload them to your web hosting server to make them visible on the web. However, some web hosting services also include web design services with them that make it easier for you to design your website. If you don’t have much HTML or web design knowledge, then you might want to consider investing in a web hosting service that offers you such additional features. Some web hosting services offer basic web design templates for you to choose from, and others offer more advanced tools to assist you in optimizing your website with the most effective keywords for your niche market and so on. Regardless of the web hosting service that you choose to utilize, selecting a good domain name is the first step to optimizing your website for your niche market.